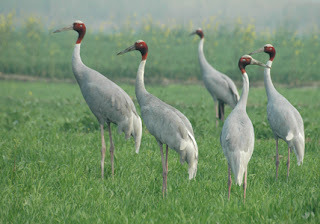 The saras crane (Grus antigone) is the tallest flying bird in the world. The Indian sarus crane population is found in Pakistan, northern and central India and Nepal. 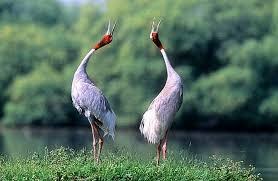 Sarus Crane is the only resident breeding crane in India and is the world’s tallest flying bird. 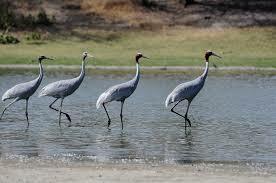 This Crane is a long-legged, long-necked grey bird with a naked red head. Juveniles have a brown appearance overall, younger sub-adults (> 1 year of age) have a brown head, grey body marked with grey, and older sub-adults (1-2 years of age) resemble adults except for markedly more black on the naked red head and upper neck. 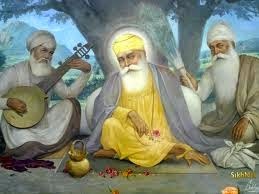 Sexes are alike, the female being slightly smaller. They can be identified reliably during the unison call when males open their wings and drop their primaries while females keep their wings closed. The diet includes frogs, reptiles, eggs of birds, eggs of freshwater turtles, a variety of invertebrates including butterflies, dragonflies and grasshoppers, tubers of aquatic plants, cereals, potatoes, peas, and fruits of Capparis. 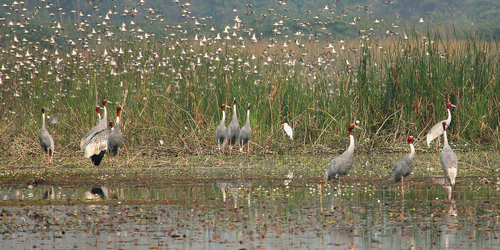 Sarus Crane has proven to be highly adaptable in the face of high human population pressures. The birds are able to use even small wetlands if they are not persecuted or heavily disturbed. Breeding pairs and families with pre-fledged chicks are typically dispersed among scattered natural and artificial wetlands Adult pairs will use drier habitats such as cultivated and fallow fields. Loss and degradation of wetlands-due to agricultural expansion, industrial development, river basin development, pollution, warfare, heavy use of pesticides, and other factors-are the most significant threats to the species. 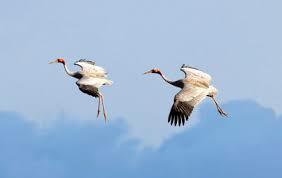 Sarus Cranes form life-long pair bonds, and return to the same breeding grounds year after year. 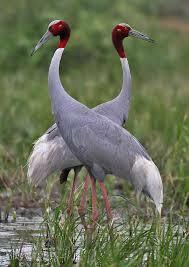 Their nests are made of marsh vegetation and built on the ground, often in flooded paddy fields or marshes. They lay 2 white eggs per clutch. The female incubates for 31-34 days, with the male taking short turns while she feeds. The chicks are yellowish-brown, with 2 dark brown lines down the back. They stay in the nest for several days, and then begin to follow the parents. They fledge when they are about 3 months old, and are mature at 2-3 years. 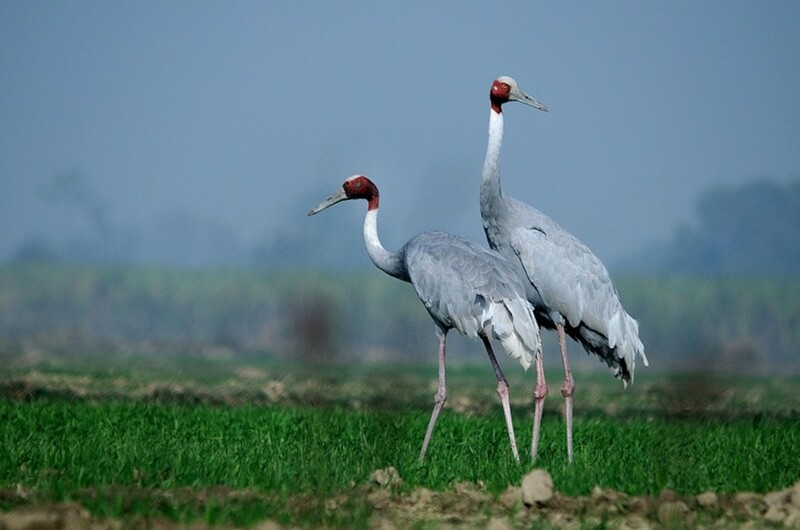 Increasing human demands on India's wetlands may be contributing to the decline of the Sarus Crane by reducing the recruitment rate within the population.